Most recent information added to bottom of this list. Beginning balance of all records posted to this site at end of first year: 16,937 as of Jan 1st, 2018. GOALS, VISION, FOCUS – Miscellaneous check of all links, and review of interest by visitors to this website. Working systematically down country list on left menu bar adding records to each one, then repeating. Unifying appearance so all dates prior to 1850 are highlighted (e.g.1849 and 1850) for easier research of oldest records. ENGLAND– adding more Marriage Records. Stopped at 450 entries, more to be added later. IRELAND: Finished 1911 census Co Sligo; added 99 death records for Gillespies of Co Tyrone. CAN YOU HELP IDENTIFY ANY OF THE PEOPLE IN THIS PHOTO ca 1919 Edinburgh, Scotland? The wedding of Marjory Lenore Gillespie & George Moir. This couple later immigrated to Edmonton area of Alberta, Canada. IRELAND: 1911 census Co Tyrone; added 61 death records for Co Armagh. SCOTLAND 1841 Police Report in Glasgow; Gillespie Biographies. Alabama Home Page just released: includes Gillespie Marriages, 1850 Census (first census that lists all family members). Links to even earlier census on USA home page. Maryland – more marriage records. Reviewed Gillespie early history from 1700s, especially linked to wills and other states. Added a video about DNA on that special page. Added 88 more passenger lists. Month of April – Happy Easter. HE is Risen! Note: Dominion land grants were the original or first titles to a portion of land issued by the Crown, free 160 acres for settlers, so these records provide a broad look at first homesteads of Gillespies spread across the Prairies. Added more Ontario birth records, and made a few corrections while rechecking dates. England Marriages – starting to add more from time to time. Genealogy work slows down over the summer due to other commitments, then usually picks up in the fall. One day at a time for each of us. Guidance For Life: Sharing comments and Bible verses to help us face life’s violence and corruption. Current work 1901 census Co Antrim, Ireland: 650 records is taking a long time to get done, extending ahead. USA: Added current Gillespie death records to the States of: New York, Texas, Illinois, Oregon and South Carolina. Birth record for Texas. Military: Added link to video testimony of Bailey Gillespie, who was held in North Korea for 32 months as a prisoner of war during the Korean War. GUIDELINES – understanding policies adopted on this website, and copyright protection. IRELAND: Competed 1901 and 1911 census for all of Ireland. Helps us see where people were living. No Gillespies on census for counties: Carlow, Kerry, Limerick. Not included is Kings County, now called Offaly as the National Archives of Ireland website has the records listed as Queens, error or unknown duplication. 3,000 Gillespies in Ireland at the turn of the century and heading into approaching war. Not a surprise to see Gillespies dominate in Co Donegal, with a documented 300-year history there. Antrim, Down, Mayo and Tyrone Counties follow for both years in order of Gillespie population. SCOTLAND: Added a summary of the total of Gillespie individuals in census records from 1841, 1851, 1861, 1871, 1881, 1891 There were about 4,000 Gillespies in Scotland in comparison to 3,000 in Ireland at the turn of the century. Aygyll was a surprise because so many Gillespies left for Canada in the 1830s from Islay, affecting the 1841 and 1851 census, when migration stopped from there. Lanarkshire includes the City of Glasgow, and Midlothian includes the City of Edinburgh. AUSTRALIA: Added links to census, newspaper, death notices and The National Archives of Australia; added 33 more Australian Marriages, including new Tasmania. Census 1821 (none); 1841 (1) 1891 (64 Gillespies apparently heads of households, but gives an indication of Gillespie population just before the turn of the century in NSW, part of the 4th country to be identified. Added New South Wales Bounty Immigrants (terrific records for full family details). CANADA: Chart gives Population of Gillespies in Canada by Census Year. We now know population of Gillespies in 3 major countries at turn of century to 1900s: Scotland 4,000, Ireland 3,000, Canada 1600. Note: Would you help chart the 1900-1901 census for any of the 50 States in the USA, or for any country not yet done with information that can be loaded to this website? Ontario – charting cemeteries in all counties with Gillespie burials for easier identification for filming tombstones. Rechecking cemetery indexes and plotting on township maps. Saskatchewan: Biographies and Pioneer History from those who lived it. EUROPE – No new Gillespie records found in countries checked. NEW ZEALAND: added 6 more obituaries or death records. Added 13 more immigration records from/to New Zealand – see next heading. SCOTLAND – adding 428 Gillespie death records from BillionGraves Index. More on Find A Grave, yet to be done. Note: My frustration is trying to identify correctly the names of Scotland parishes. I find adding the ending “shire” occurs sometimes but not consistently in record sources, where two spellings are found for the same county name: sometimes with the “shire” ending and sometimes not. Being a Canadian I struggle to figure out how to deal with this, not wanting to change any spelling in a record. Did county names change over time, just has they did for areas in my country? And then there are often towns in Scotland with the same names as a county. Far away, lonely immigrants named new communities after their home, in memory of a land they would never see again. This is an important clue to the origins of ancestors. IMMIGRATION & PASSENGER LISTS: Added more records for immigration to and from Queensland, Australia, and separated those from NSW records on Australia home page. More New Zealand immigration records. MILITARY RECORDS: added World War I and World War II records on new home pages for Africa, Asia & Middle East. Updated Guidelines re privacy issues. USA: Virginia – Obit of Jeffrey Wayne Gillespie. Finishing Scotland Gillespie Death Records from Billiongraves Index. Sifting Scotland 911 Gillespie death records from Find A Grave to pick up ones not on 428 records on Billiongraves Index for Scotland. Takes a long time to type these out, so that Scotland remains the focus for September. What do we then learn? 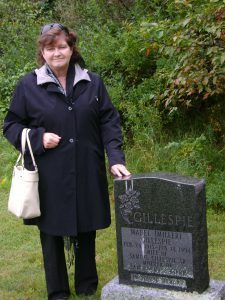 If there is no burial of a Gillespie in a county, it probably means that very few Gillespies lived in that region. Using both sources of death records in this study, no Gillespie deaths or burials have yet been found for the Scotland counties of: Angus, Banffshire, Bute, Kincardine, Nairnshire, Ross & Cromarty, and Sutherland. This doesn’t necessarily mean there are none, although possible, but rather none online at this time by these two organizations (Nov 2018). Wait. I notice on the Mormon website, in Great Britain, British Newspaper Archives. I find 641 records for ANGUS waiting to be copied. Note: USA follows and onward to the bottom of the left menu listing, then a return to the top of the list to work down the countries again systematically, DV of course, meaning “Lord willing.” If you only care about certain records, this will help you estimate when new records will be added for that location or subject. My own interest is pushing records for Ireland and Scotland because that is where our oldest relatives came from. It was quite a surprise to find so few very early records for Gillespies in England, which I thought might be earlier than them all. A lot of early migration moved from southern lands to northern ones. But the early movement of people coming into and then within the British Isles is very unique. I hope you found the study of the earliest Gillespies in Scotland from a link to an article on this website that I published in a newsletter. Seven days research in Utah at the Mormon Library provided the records for that report. Since then more records have been found, including the ones I am just doing. Fife: 183 Records added (including Rev George Gillespie 1613-1648 of Kirkcaldy). WALES – new home page with map, and 24 records for births & christenings, marriages, deaths. See left menu bar. Current work. Death Record for Betty Gillespie, Silva, IOWA, Aug 11, 2018. “Gillespie is a moderately common surname in the United States. When the United States Census was taken in 2010, there were about 42,693 individuals with the last name “Gillespie,” ranking it number 811 for all surnames. Historically, the name has been most prevalent in the Southeast, especially in West Virginia. Gillespie is least common in the northeastern states. Month of October – private time. No genealogy. Death Record for Flint Gillespie,Hillsboro, Alabama Oct 26, 2018. Newspaper Obit for Frank N Gillespie, Nov 11, 2018 in West Virginia (currently blocked by a demand to do a survey, but may be available at a later date! USA census projects are huge databases. Here is a brief summary of Gillespies in the USA between 1900 and 1940 in the chart that follows. For example, there were 810 Gillespies in West Virginia in 1900. Would you help type out Gillespie records in the 1900 census for any USA State to add to this website, as I work on projects listed next. Is there someone who would like the challenge to create a Gillespie website to gather and present all Gillespie records in the United States, to which I would gladly link from this website? We are preserving history and let’s help each other in doing so. Here is a brief summary of the states having the greatest number of Gillespie burials. It is a bit overwhelming sometimes. There are 43,164 Gillespie burials listed in the States for Find A Grave, which I have barely begun, wanting to load the records from this library first with a focus on the 13 Colonies for the earliest records, then moving Westward as the pioneer did. Time is running out as my generation comes to a close. Those today from the 1920s are very few, in their 90s; 1930s in their 80s of age, and 1940s in their 70s. 1950 births are in their 60s today, and the warning alert that old age is arriving. But retired people are the ones with the most time to focus on family history research. People born during the 1920s to 1940s, and maybe a few born in the 1950s are the last ones to have experienced farming and many other things before mechanization arrived and technology exploded. For many, it was war time for families, and the anxiety for women whose men were in the gravest of danger. It was a period of huge upheaval, and today it is happening again, silently perhaps this time, but the changes for many of us are sad. We have gained so very much, but lost a heritage that others may not appreciate or understand. Friends are gone that we miss. Even my own children have no knowledge of things that passed away as I grew up. So, what is the legacy we are leaving behind? In this website, and many others, we are remembering those who were before. Most of it is just dates, but those dates reveal a lot: dreams destroyed with the death of so many wives and babies, as just one example. Perhaps through people’s suffering, and the things they overcame in leaving one life for a new one, we can be comforted and encouraged as we face our own battles. Let’s find strength as the end draws closer every day. Press on, and choose to make the last days the best ones yet. Family history keeps the memories alive. It is not just ‘hanging on‘, but being overcomers and finding a focus that is our gift to you, to future generations and for ourselves. Ann Gillespie, Democrat, has won the Senate seat for Illinois in the recent election. Added 69 death records finishing all Gillespie death records in Scotland from both BillionGrave Index and Find A Grave. Remembrance Day, especially the end of World War I on November 11, 1918, 100 years ago. Read the story of that day, and the retreat of the Germany army, as the men walked across France to go home. These memories are recorded on the website: First World War Centenary. Find celebrations in your country. Here in Canada visit The War Museum in Ottawa or their website. Don’t forget the WWI records on this website under Military on the left menu bar. In the midst of adding records, I pause to add a new page for PROJECTS, remembering children around the world at Christmas. A new location just found. What focus should I have in genealogy as the year concludes? I always want to find new locations of Gillespie records, and as early dates as possible, but the key areas are now the big four: Australia, Canada, Great Britain & Ireland, and the USA. I return to my Irish roots. Just for my own interest, moving out of cycle for a little while. Just as I did for Scotland, I am trying to finish Gillespie death records for all of Ireland from Find A Grave Index and Billion Grave.com, but rotating through the larger counties more than once. I will not get this done before the end of the year but it remains a priority. (New means a new page of records established). All other Irish county records are after these dates just now. Since records on the Internet are not available before about 1630, it will be a challenge to keep moving back in history in finding actual records, not just the mention of something, which is available through Peerage, etc. 1831 Census Co Londonderry, Ireland. A brief stop, not extended work. Chapter Six: The Adventures of Squeeky The Mouse. Squeeky learns about forgiveness. South Africa: added 100 more records, which included: 9 births/baptism; 22 marriage records; 69 Gillespie death records. I do not expect to complete all records for Africa before the year end. The current interest of visitors to this website is in Africa, quite a surprise to me. Who was Major General Gillespie whose daughter Anne was born in Calcutta, India in June 1827? The famous Major General Robert Rollo Gillespie had been killed in 1814. Tasmania: 9 birth records – new. 3 marriage records; 4 death records. Note: The earliest Gillespie record in Australia so far seems to be William Gillespie married Florence A Clark, 1805, Windsor, NSW, Australia. Two Gillespie births in New South Wales in 1821. Have you considered choosing one State or Province or County in any country, gathering all Gillespie records for it, and offering that on a website to the world as your gift to mankind? The possibilities are exciting! 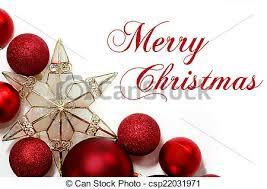 May God guide us all as we enter a New Year, and may it be the best one yet. Year End Goal = 25,000 Gillespie records. Yeh! Two years a labour of love!